Enjoy a single-story, residence that enhances privacy and convenience. Our open-floor plans feature 9-12-foot ceilings, stainless steel energy efficient appliances, spacious walk-in closets, desk space and custom built-ins. 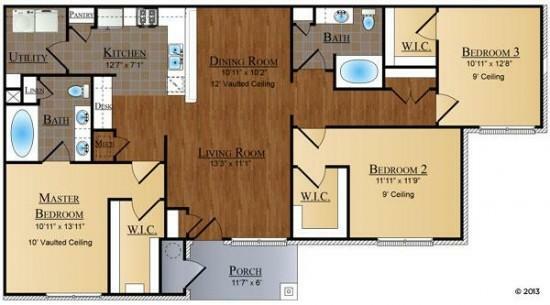 Our apartments also include reserved parking and two-car attached garages on select units. Every detail is designed with your comfort and lifestyle in mind. Access the community overview, floor plans, and amenities in one convenient place. Call us today to schedule a tour of The Villas at Nature Walk!